A bus has been introduced from Dehradun to Nepal, and it’s one of the best things for a traveller to know. It’s for those who prefer scenic and economical bus journeys over super fast and oftentimes boring flights. The bus ride across these countries is quite hassle free; it’s a single ride to your destination without changing vehicles in between. That is absolutely awesome news, isn’t it? Now that it’s been on for a month (the service having started last month), you can safely think it is here to stay. 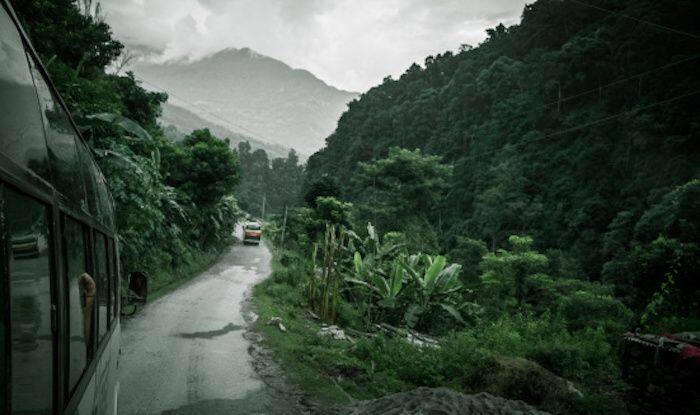 A large number of people commute between India and Nepal from Uttarakhand and earlier they had to get off at the border in Banbasa, the last Indian village on the border, and take another vehicle to Nepal. But not anymore. Apart from the discerning traveller, this was immensely help the large number of Nepalese migrants in Uttarakhand. The bus runs daily between Dehradun and Nepal and is operated by a cooperative federation. Hopefully this step will also help in improving the economic and cultural ties between the two nations over time. The scenic vistas of Himalayas, the turns and bends across the mountains and the exciting opportunity to enjoy a swirly ride through the picturesque landscapes Nepal is so famous for – an experience like this is what dreams are made of. From Dehradun to Mahendragarh, the journey takes around 8-9 hours to complete. Interestingly, the newly launched bus also passes through Haridwar on its way back to India; providing easy access for the devotees from Nepal to visit this holy place.